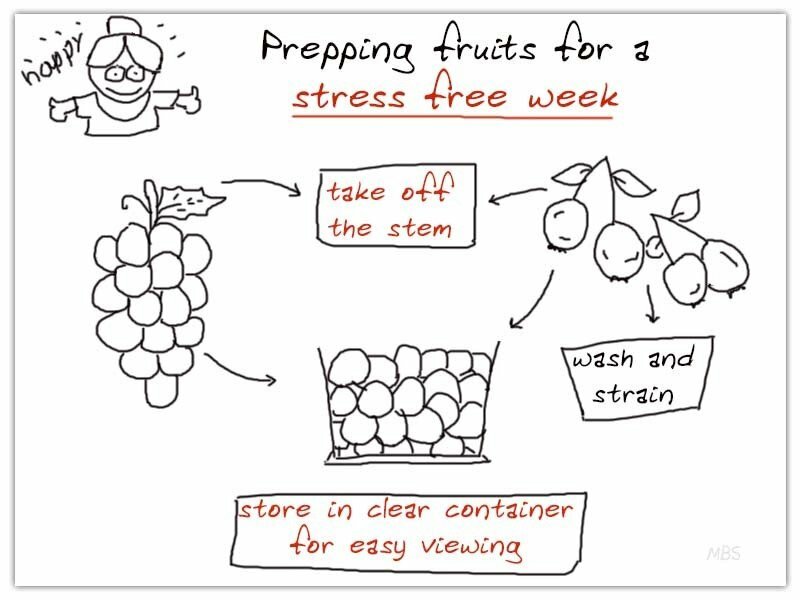 Our US-registered bariatric nutritionist gives some tips to cut and store various veggies and fruits for the entire week after weight loss surgery. “I am doing some meal prep for the week and I wanted to show you little bit of my method to the madness! So, I have started with some grapes. I have got some washed, I am going to go ahead and take off the stem now, just to save time because the 3-year old would not do that. Then I will throw them in a clear vase container, like this one for the peppers, so that I can see them and over; they are ready to go and will stay in the fridge for a good 4, 5 or 6 days. Blueberries, same thing, they are washed, strained, right now. I will put these in a container and grab them for smoothies, throw them in a fruit salad, give them in snacks for the three old baby. I took the easy way out on the pineapple this week. I just did not feel like cutting and coring a pineapple but it is really good if you do that. Same thing with the carrots, I normally like to peel them and cut them but we were gone for the weekend and just one more thing, I took the easy way out there. Peppers, I had some in the fridge from the farmer’s market last week, so I went ahead and washed these and cut them up. I like doing mine in sticks like this, so that I can either dip them in humus or throw them in a stir fry. If I want to, I will just grab a few of them and chop them up for omelet or something. Spinach, I got some pre-washed spinach, so that I can throw these in smoothies. I can sauté it or make an omelet, all sorts of things. I even throw these in my son’s macaroni cheese and he loves it, he only knows spinach macaroni cheese. So, it is one way to get greens in to the kiddos. Had a cabbage last week from the farmer’s market and I went ahead, diced it up. So, this is a fair amount of cabbage, we will not eat this in one sitting. 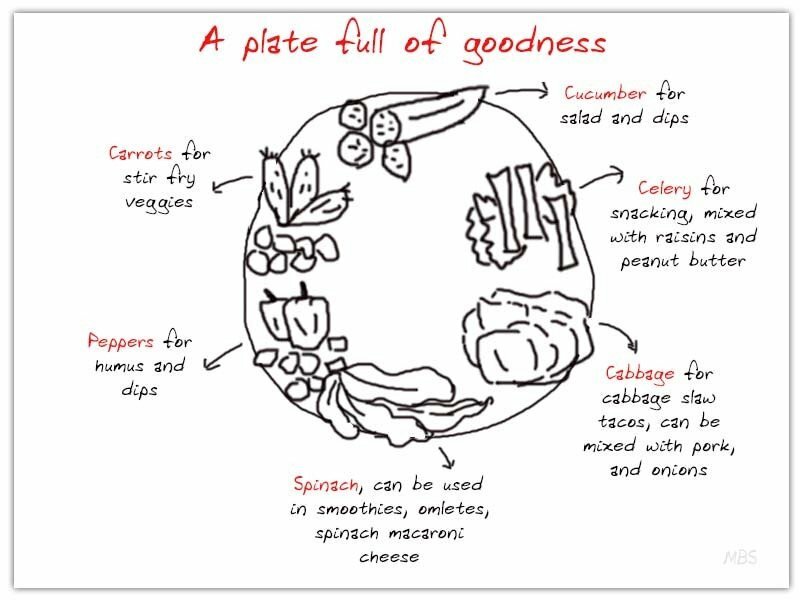 Or probably do some pork , maybe sauté some cabbage and onions, apples, do a good German meal. Then, I have got my celery, so I started dicing this up. So, this is another great one that keeps for a long time in the fridge. These are going to be for my son when he comes home from school. We will do some peanut butter in there and some raisins. That is a good snack for those of you who are a little bit further post-op, probably 4 to 6 months or maybe further out than that. I got my cucumber. I am going to go ahead and dice just a little bit of this up. Cucumber is one thing that I do not like to cut whole lot in advance at most eight hours because it gets slimy. So, I like to keep it whole as long as possible. So, there is that. I am going to try something new tonight. 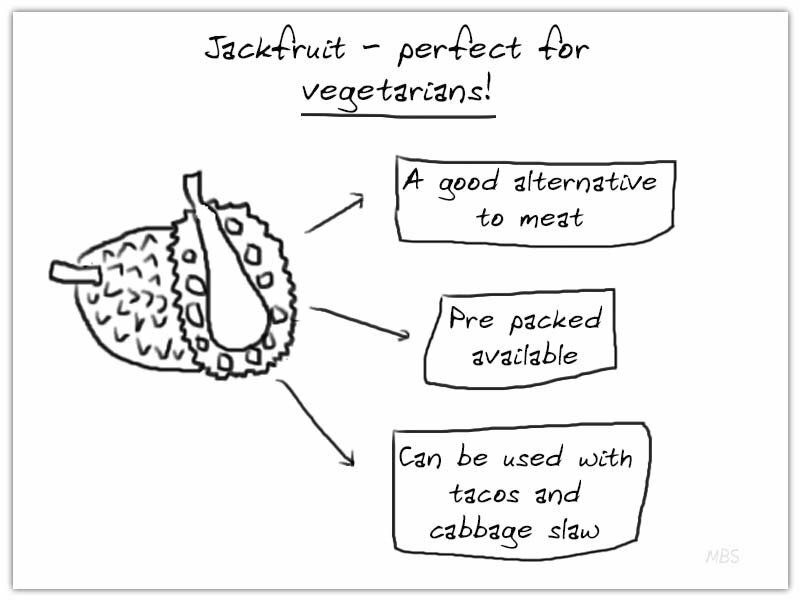 Has anybody done Jackfruit yet? It is suppose to be pretty good alternative to meat. So, we are going to give this a whirl, I am going to do this and the cabbage slaw and we are going to have some tacos. So, I will let you know how that goes. We are non-vegetarian. I am actually daughter of a farmer, so, two farmers. I do like my meat, although, I do try to be responsible with how much meat we eat to the kind of meat we get, getting good sources instead of junk. But anyways, so, we will see how this tastes. I will let you know. 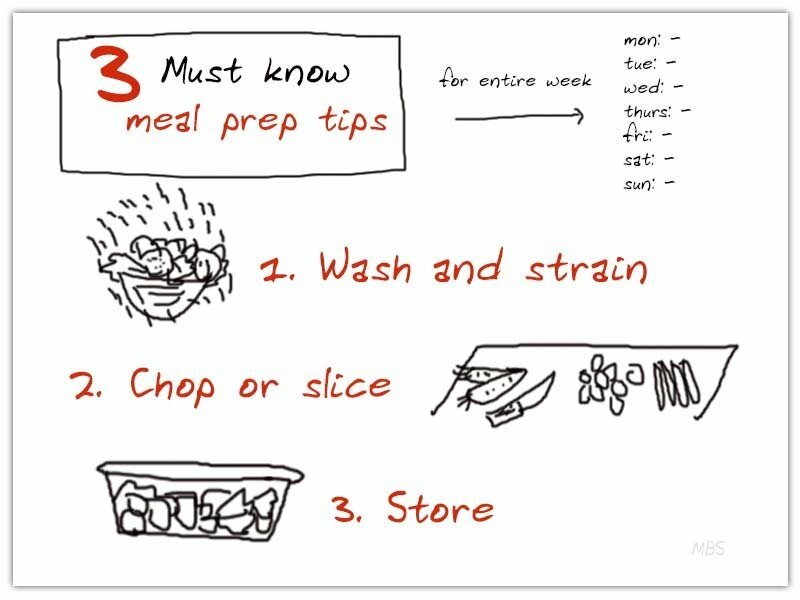 Hope that helps and gives you some ideas and let me know what you do to prep. Setting realistic weight loss goals is vital for every bariatric surgery individual and these can be accomplished by eating right and including exercise in your routine.